Today is the Feast day of St. George the Martyr. A Big day for someone with the surname George! 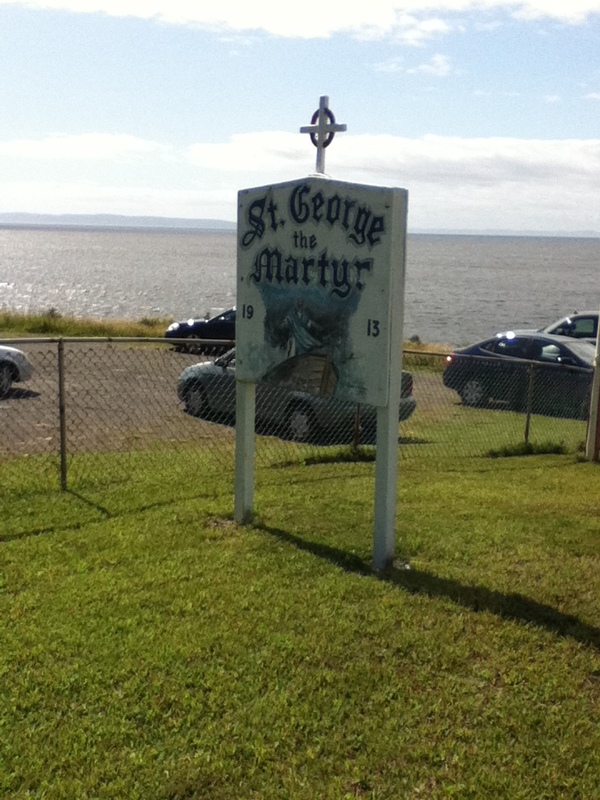 The day is made all the more special for me because I grew up in the church of St. George the Martyr in Whiteway Newfoundland. What a wonderful little church it twas! Well … is….It is still there and people still worship there weekly. 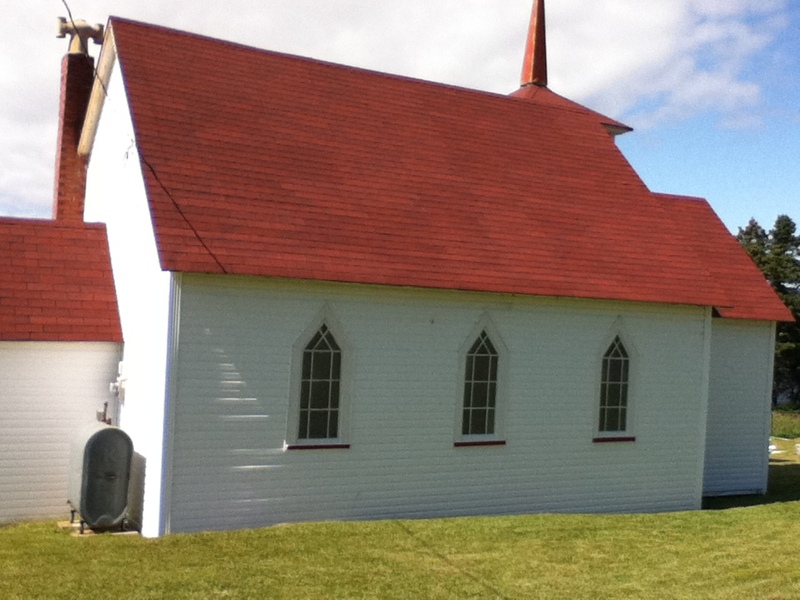 This small church, whose patronal feast is today, would seat about 40-50 people. It has no running water or facilities. This meant that from time to time as a little boy you would find the side of the church that was ‘in the lun’ or out of the wind in order to ‘go pee.’ This gave new meaning to the term ‘sprinkling rite.” The lack of running water also means that if you are on altar guild you bring a jar of water when there is a baptism. In the words of a good tv advert…. “but wait there’s more!” I also attended St. George’s High School. What is there not to love about the name George? 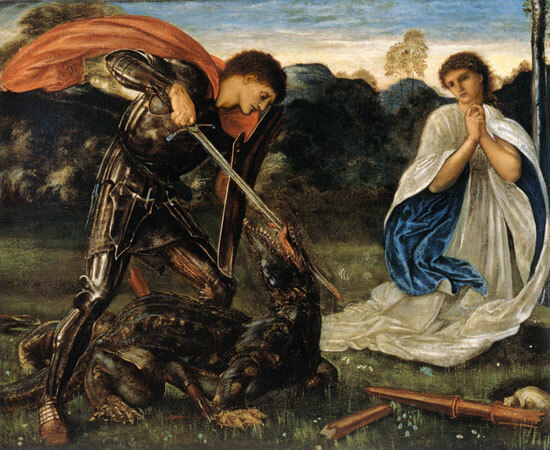 The Saint is often depicted slaying a dragon, saving a lady from certain peril. It is said that the lady is God’s truth and that the dragon is evil and wickedness. This great saint is also the patron saint of England and his cross features prominently on the English flag as well as on the Union Jack. As much as the Irish venerate St. Patrick and Scots celebrate St. Andrew, the English strive to celebrate St. George. 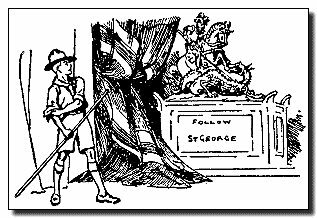 This is also a great day for Scouts everywhere as they celebrate their Patron – St. George! On this feast day I ask myself about dragons that need slaying in my life. Can I call on blessed St. George to give me strength to face those things that are threatening my spiritual life? What are the issues in my day-to-day journey that should be slain so that the love and truth of the God who loved me into being might be set free to shine in my life? Can we all ask ourselves these difficult questions? It is difficult to acknowledge to others that we have dragons that need slaying. It feels better to have the world believe that we have it all together. I think I would like to slay the dragon of negativity. The good Rebbe had it right. If we could but focus of the good in ourselves, in others and in this world, the compelling power of love could take root. It is difficult for that seed of love and hope to grow in soil that is often loaded with the toxins of hurt, judgement, shame or guilt. So may God grant me the strength to seek to lay aside judgement and embrace hope and love. God grant us all the courage to slay the dragons of hatred of others and pride in self that keep Peoples divided and enslaved in a state of darkness. In celebrating the feast day of St. George we pray for the ability to recognize dragons in our own lives that need to be put down. and of course becuase I am English I certainly think St george’s Day should be given more attention – like St Patrick’s and then we would all be drinking more Guiness today!